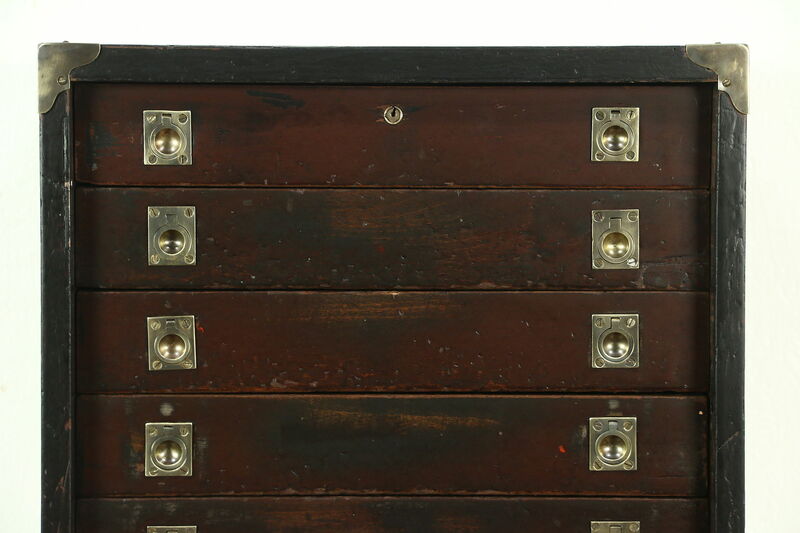 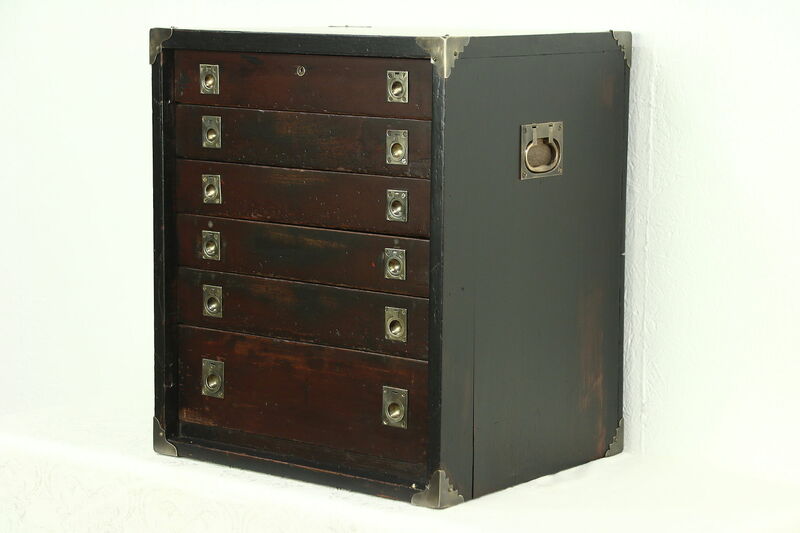 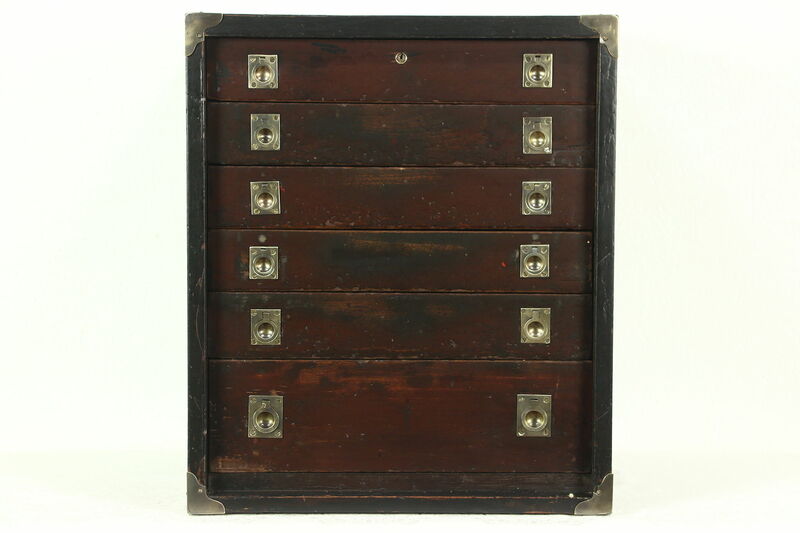 An eight drawer collector cabinet or file from about 1900 could also function as a jewelry chest. 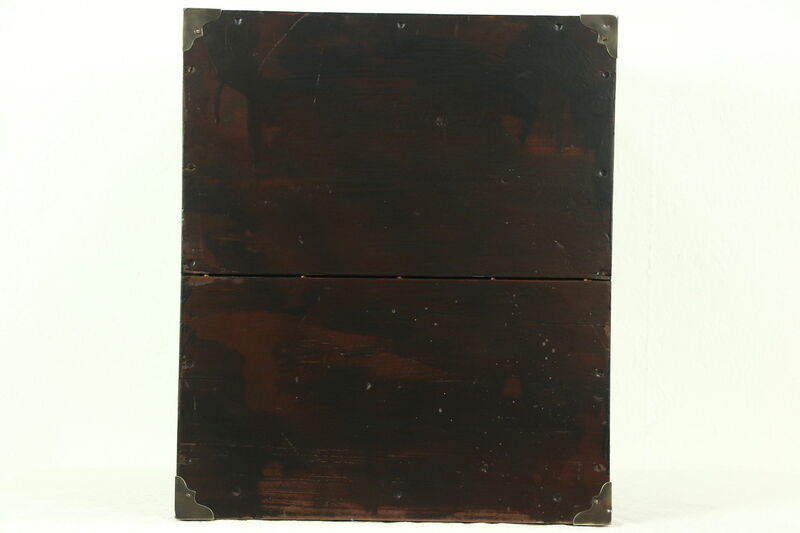 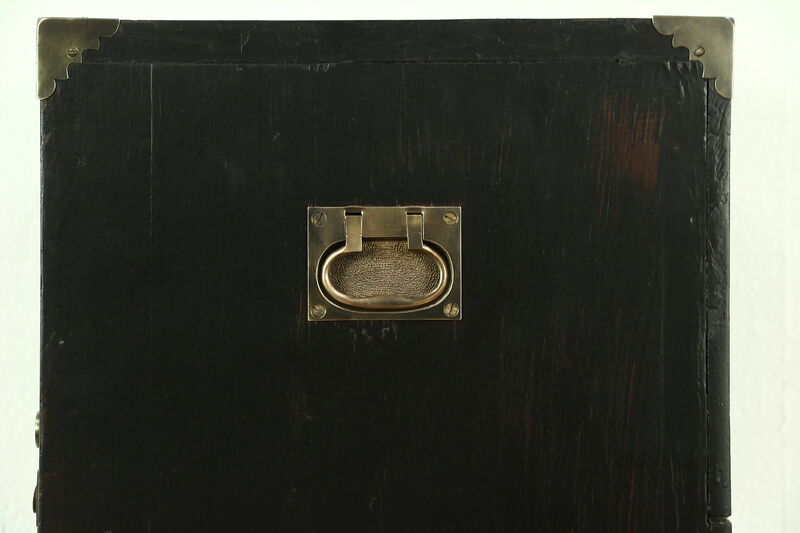 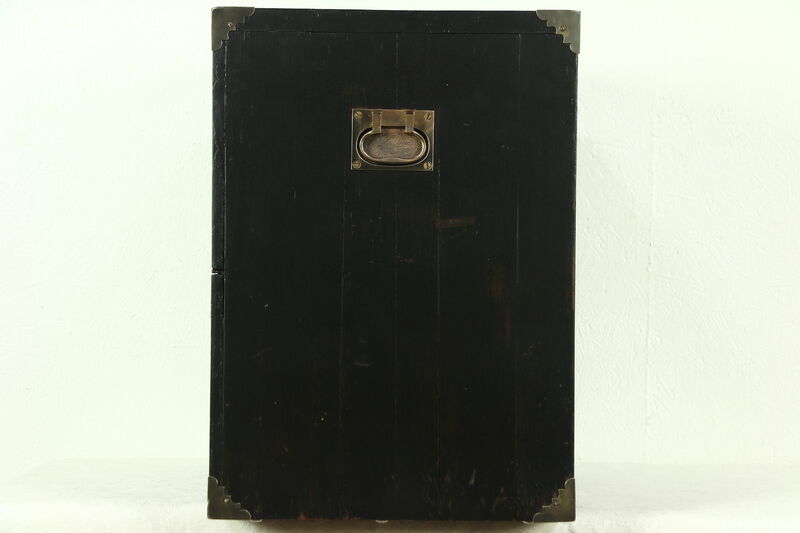 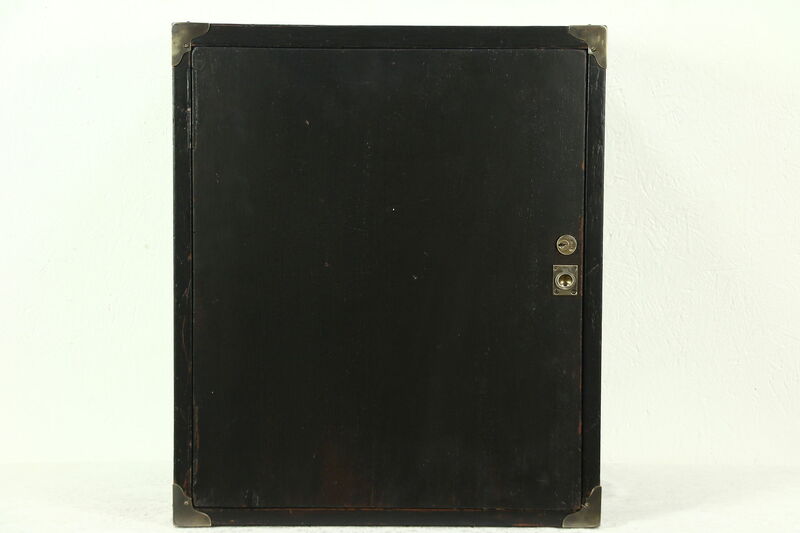 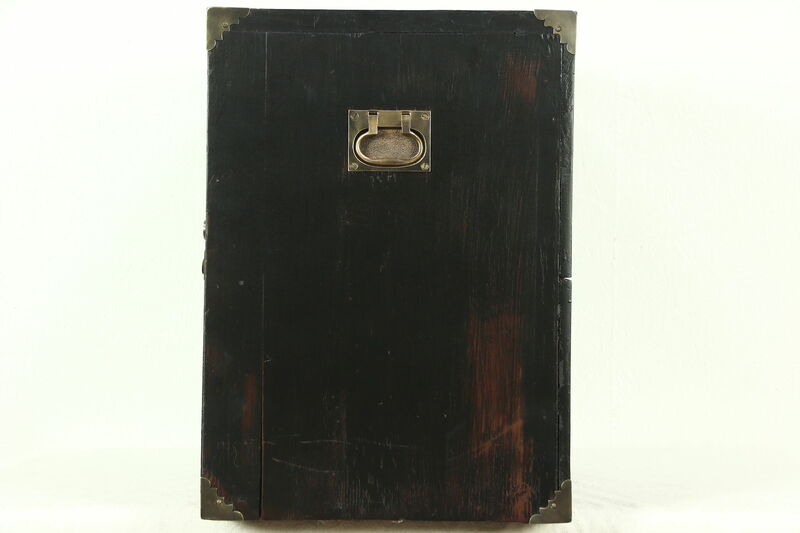 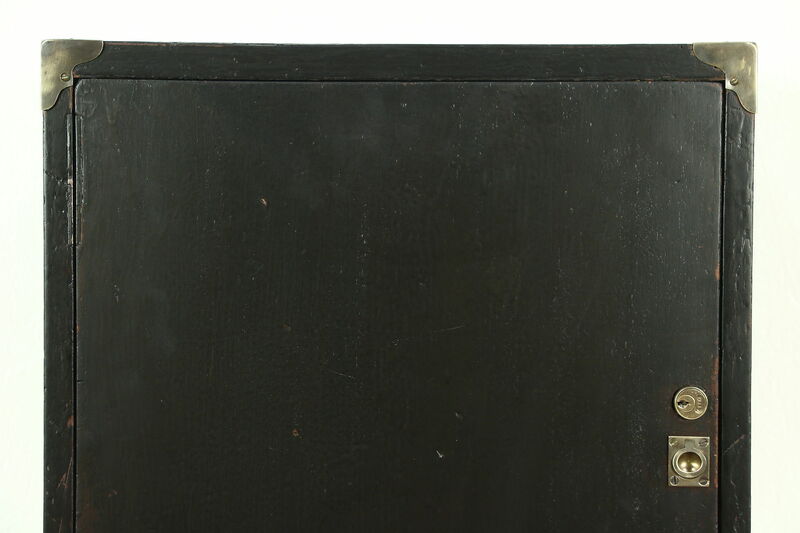 "Campaign" furniture like this has brass corners, recessed pulls, handles and a door to secure the drawers so as to be easily transported for military officers in the field. 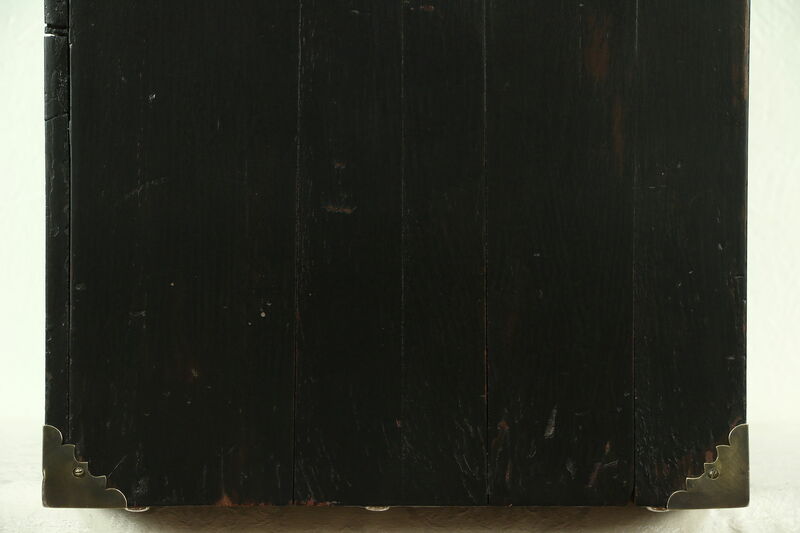 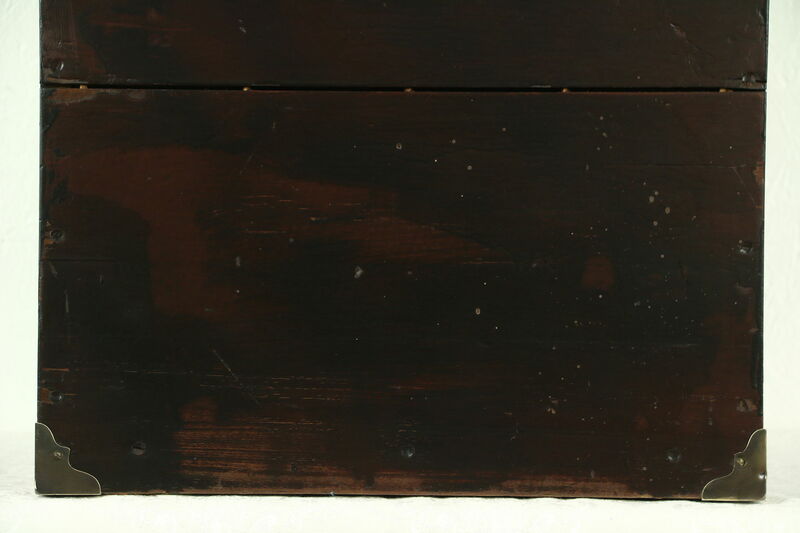 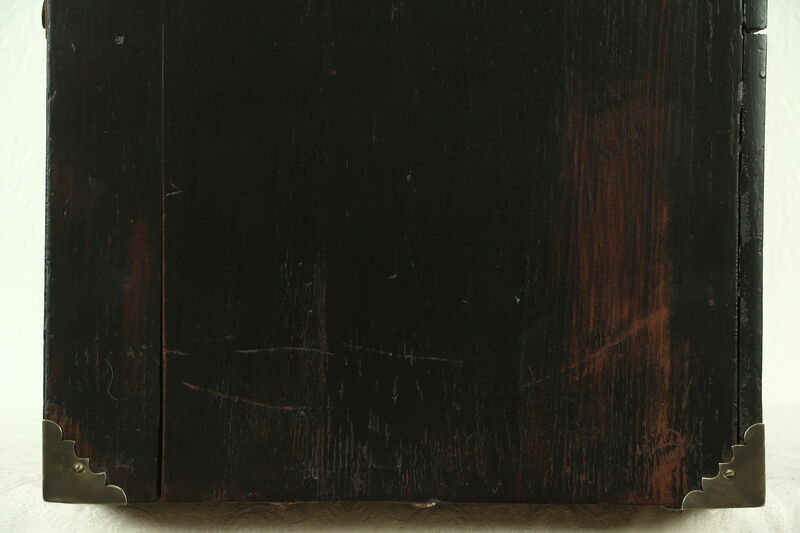 The old dark finish has been given a coat of clear varnish to preserve lots of mars, stains and shrinkage separations from age for a little character. 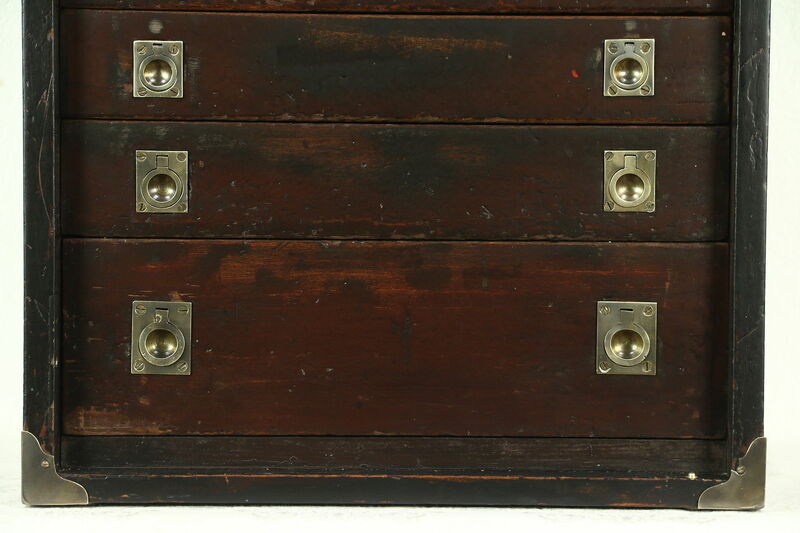 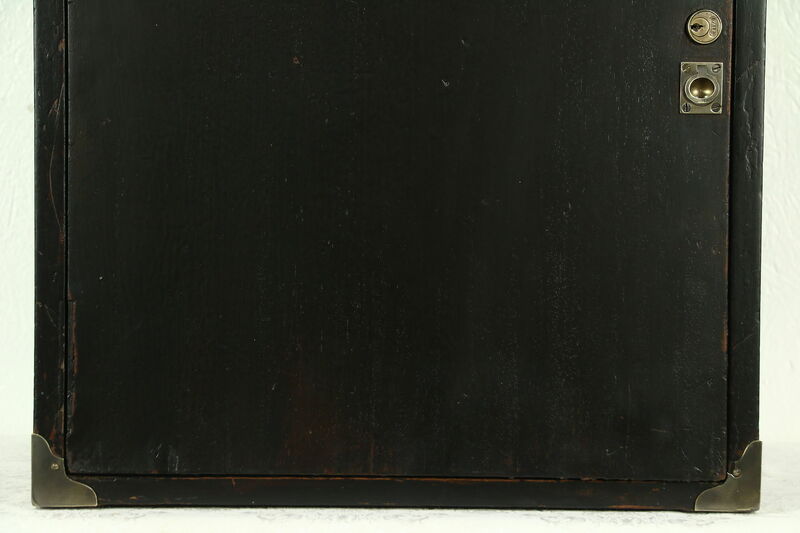 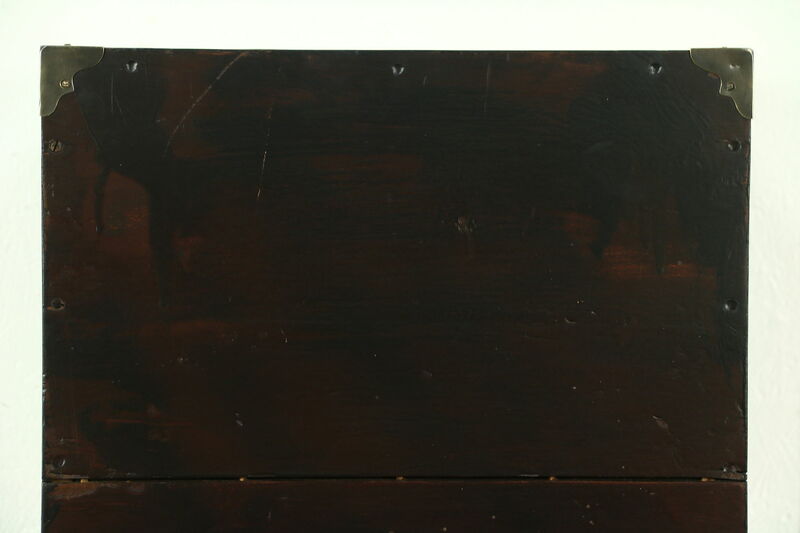 Well worn, this mahogany furniture has original patinated brass hardware. 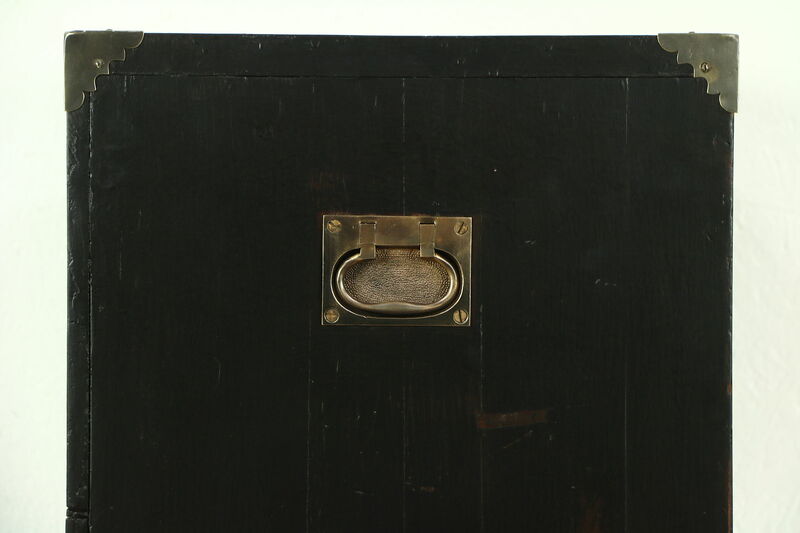 There is no key for the lock. 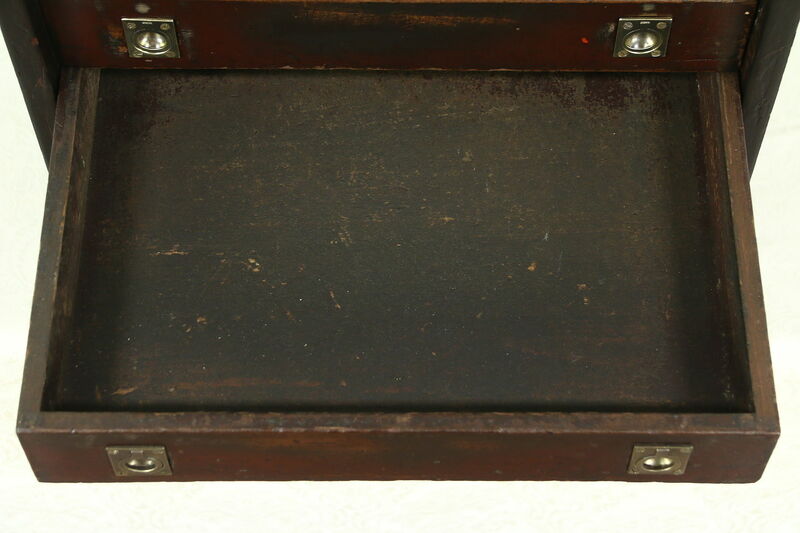 Size is 18 1/2" wide, 16" deep and 22" tall. 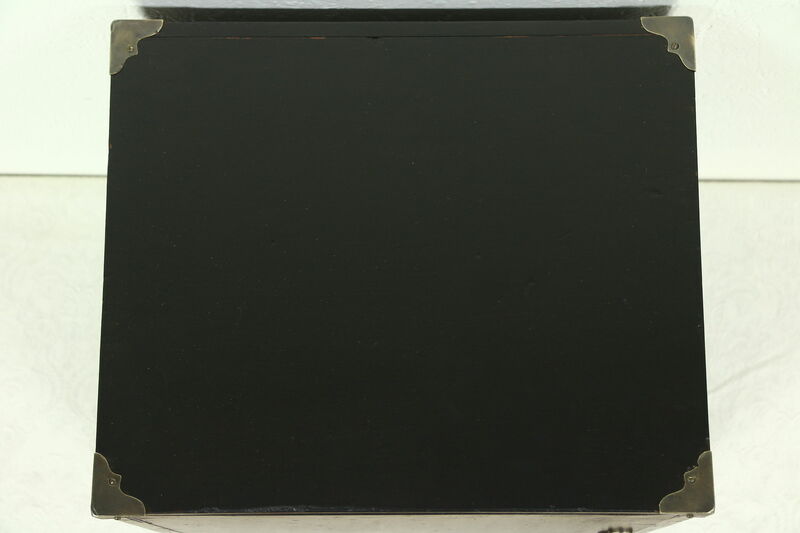 We can pack and ship for $95 in the US.